Razor barbed wire is a mesh of metal strips with sharp edges whose purpose is to prevent passage by humans. "razor wire"The multiple blades of a razor wire fence are designed to inflict serious cuts on anyone attempting to climb through and therefore have a strong psychological deterrent effect. In many high-security applications. 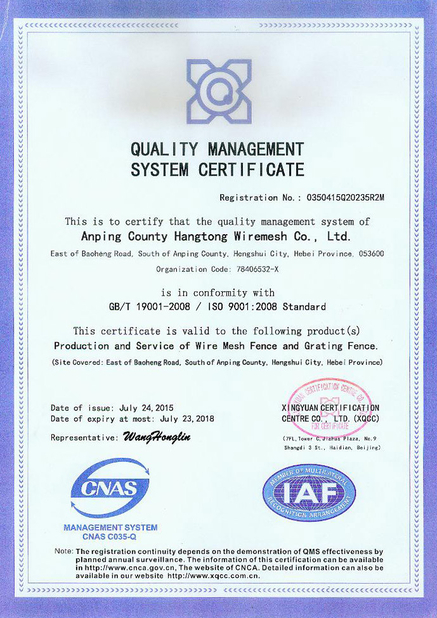 Like barbed wire, razor wire is available as either straight wire or spiral concertina razor wire. 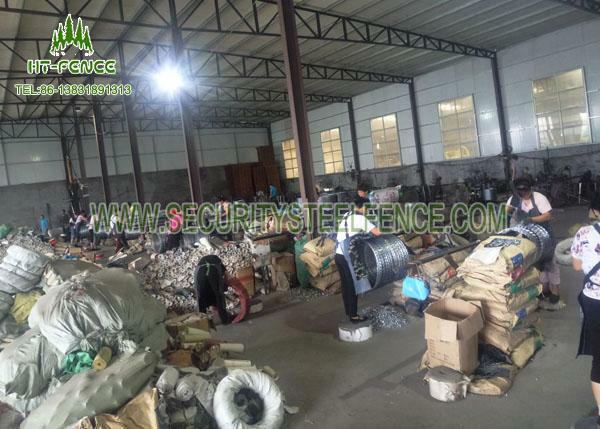 Razor wire is also manufactured in stainless steel,low carbon steel. 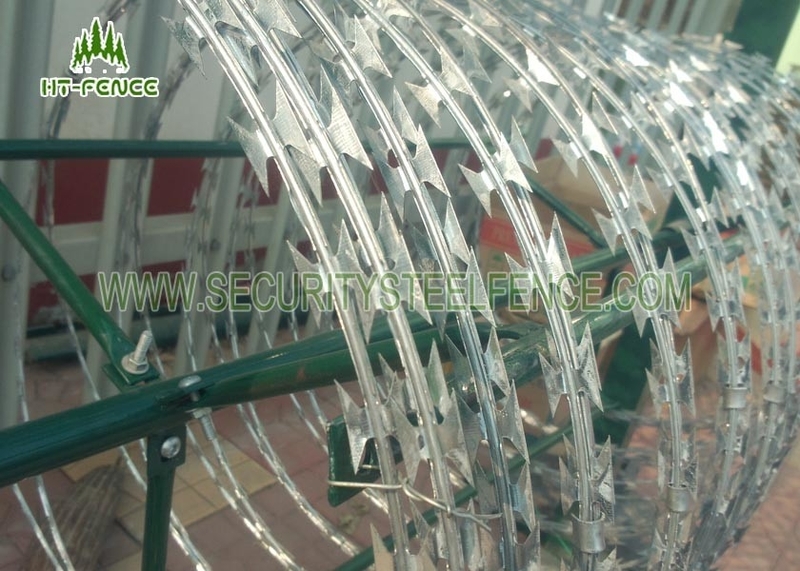 (1) High security: Barbed razor wire with the sharp razor guarantees a high security whilst retaining high quality. (2) Long life: Razor wire material of stainless steel or hotgalvanized make sure for long life and low maintenance.